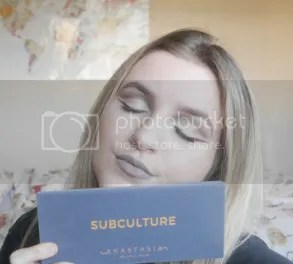 I’ve took inspiration from The Diary of Ellie and Glowsteady where they took a look through their archive and discussed whether they use products they raved about in the past. Considering I’ve had this blog for around 4 years now I thought it would be a fun thing to do and give you my updated opinion! All of the pictures below are mine taken from past reviews! Do I still love it and use it, yep. It’s time to buy a new one soon as it’s almost dried out.. Whenever I wear it, it looks like I have false lashes on and I adoreee it plus I get complimented a lot. Do I recommend it? Yep! Even if you just try out a travel size to test the formula and brush. Would I buy the full version.. yup! A year later and I’m still very much in love with this palette. The foiled shadows are the best shimmer formula I’ve ever tried, and I’ve tried a lot of palettes. The mattes are pretty decent, Ladyship is pretty dry and my least favourite shade but the rest of the palette is just gorgeous. I find that it’s amazing to use on other people too, I have a hard time doing eyeshadow on other people but this one is fab and easy to blend. I still recommend it and love it. Ever since discovering Ofra highlighters and buying a Glow Kit I’ve let this one go, I would buy the individual of Gilded Honey or Peach Glow in the future but right now I don’t miss the palette and I’ve discovered better. I don’t know why I loved this at first, because the more I used it the more I realised that the colour match was way too warm toned and it felt heavy on my face. Honestly wouldn’t recommend. The mattes in this palette were so creamy and gorgeous, however it was the shimmers that I ended up hating in the palette. The more I used it the more I realised that I preferred the Coloured Raine palette which has similar shades. This one didn’t make the declutter cut. I still would recommend it especially for the price point and tones, but I just would use other palettes over this one. I actually genuinely love this palette, the colour story, how pigmented and gorgeous the shades are. However I just didn’t reach for it anymore, and I never use blues, greens etc so it was going to waste. I would recommend it if you’re into cool tones however I just didn’t make use of it at all which is a shame because I did really enjoy this palette. I’ve recently bought Sugar to replace Sweets that I had. Sweets was gorgeous but 2 of the shades didn’t suit me, every shade in Sweets is perfect for me, and they flatter my skin tone. Taffy was far too orange toned and I never wear ‘weird’ coloured highlights. I’d recommend the glow kits 100%, they’re absolutely amazing. I would just recommend doing your research and finding the best one for your skin tone before you impulse buy like I did, woopsie. ← Room Tour, Decluttering Tips & Organisation!